Molds are nature’s little helpers, and are considered part of the natural environment. However, you wouldn’t really want to share your home with them, as they tend to not only break down the things on which surfaces they grow on, they can also cause health problems. 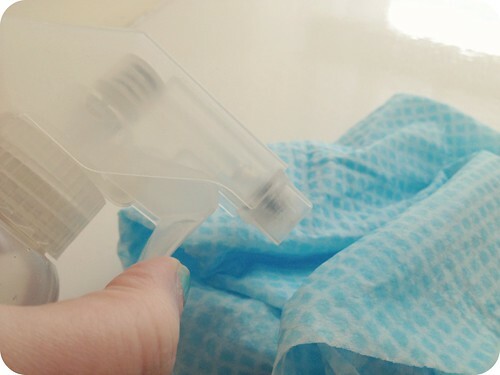 Most people employ harsh methods of removing mold and spores from inside their houses, but rather than using bleach or borax which could affect pets or the environment, there are other natural and eco-friendly ways to kill mold at home. So many everyday products increase our exposure to harmful chemicals, but the increased use of silicone is creating new ways for us to avoid these products. At the same time, silicone provides another way for us to reduce our waste and reuse products. Since you're already in the early phase of spring cleaning, it's time to open up your supply cabinets and start swapping metal and plastic products for silicone. No matter how clean you keep your home, sofas and leather chairs eventually get dirty. Whether your upholstery needs cleaning because of a spill, stain or dirt, using the right cleaning method is important. Non-renewable energy comes at a price. The more of it you use, the more you’re going to pay. In the same way, our consumption of these energy resources comes at a price to our local, regional and global ecosystem – and its cost might be higher than we were ever willing to pay. Unfortunately, there seems to be a commonly held misconception that it’s infeasible to offset our individual costs and those on the environment. Well, I’m here to tell you that this it’s totally feasible, and anybody can save green by going green. You just have to do a little bit of homework before you get started. What you’re trying to accomplish is a systemic switch in which type of energy you use, and how much you’ll be consuming. This is going to be a great deal more extensive than just changing out lightbulbs, so it’s going to require a good bit of research on your part. Where do you live? You need to determine your region’s climate and how your energy is commonly supplied in your local area. What is your living situation like? Do you rent or own? What are you currently using for energy utilities? What is your current budget for the project? Think of this switch as more of an investment than an overhead cost. What can you do (rather what do you want to do)? Some changes might not be possible, given your living situation, due to space or legal issues. Why is Hemp So Great? First of all, hemp is awesome. There are so many uses for hemp from food to fuel to home insulation. Although the majority of eco-friendly car headlines relate to the advances in hybrid and electric battery technology, there are many other alternatives to petrol out there. Alternative biofuels can be created out of cooking oil, algae, and liquefied petroleum to reduce carbon emissions and improve efficiency. Another type of plant that can be used to fuel cars is hemp. This humble plant can be used to create paper, clothing, and food, but it's often overlooked as an alternative fuel source. Yet there are signs that hemp is on the rise as a potential alternative fuel. Canada has given the go-ahead to fund research into hemp oil, while university studies have shown that it could be a viable alternative to petrol.